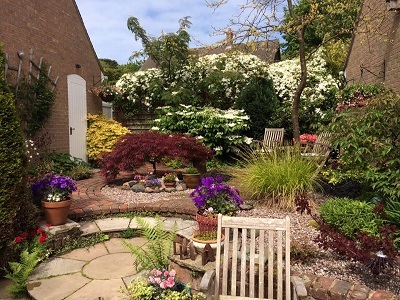 After a year off, Caldy Open Gardens is back. This year, we're supporting Hoylake Cottage Dementia Day CareCentre. 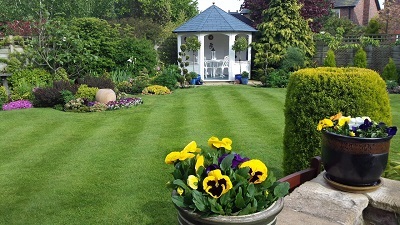 Come along and wander round 12 beautiful, private gardens, all different styles and sizes to inspire and entertain you. 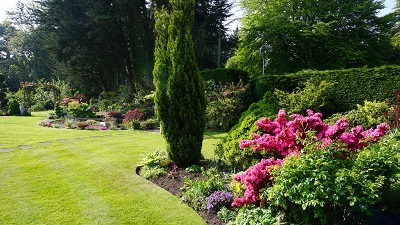 Caldy Church and Caldy Manor are also opening their doors and grounds making it a truly community event. There will be a large plant stall, so whether you're looking to stock a brand new garden or fancy a specimen plant, make sure you get there before everything goes. Tea and cakes are back by popular demand, but not the waitress service. There will also be barbecue sausages, Pimms, and other treats. We're doing more for children too. Free entry for under 16s, from 1pm - 4.30pm there will be a display of owls, of species native to the Wirral. A great chance for a close-up view while learning lots about these amazing birds. The Owl I-Spy Trail starts here too. A select group of Wirral Artisans will be showcasing their work. So whether you fancy commissioning a garden sculpture, or buying a picture, greeting card or candle, they'll be something to suit every taste and pocket. Entry �6 in advance till 25 May, and �7.50 on the day via a full colour programme. Programmes will be available from early April from retail outlets across the Wirral, including the West Kirby, Heswall and Chester branches of Bradshaw Farnham & Lea, proud sponsors of this year's event.